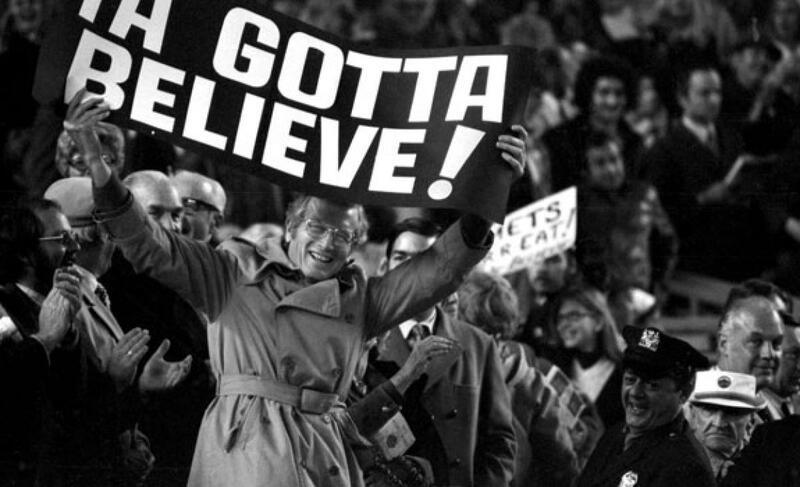 Game Recap: Mets 4, Braves 0, strong outing for Niese | We Gotta Believe! The Mets (85-65) defeated the Braves (60-91) by a score of 4-0 behind 6 shutout innings by Jon Niese. A run scoring double play, a solo home run by Michael Conforto, and a 2-run double by Daniel Murphy was all the scoring the Mets needed, as Niese, Addison Reed, Tyler Clippard, and Jeurys Familia combined for a 5-hit shutout. The Mets, like last night, got off to a quick start, this time against hard-luck pitcher Shelby Miler. After a 1-2-3 first by Jon Niese, Curtis Granderson walked, Daniel Murphy singled, and Yoenis Cespedes singled to load the basees. After Lucas Duda popped out, Travis d’Arnaud grounded into a bizarre double play, 5-4-6, allowing Granderson to score. 2nd baseman Daniel Castro dropped the ball on the transfer, allowing Granderson to score and allowing d’Arnaud to reach, but Daniel Murphy wandered off the basepath and was tagged out for a reverse force double play. The Mets took a 1-0 lead.In the bottom of the 2nd, Michael Conforto tacked on with an opposite-field solo homer, his 8th of the year to make it 2-0. Jon Niese pitched very well tonight, allowing only 3 hits and 0 runs in 6 innings with 2 walks and 2 strikeouts. Niese was a ground ball machine, recording 12 of his 18 outs on ground balls (one double play, 2 strikeouts, 3 fly balls). He worked past a bases loaded jam in the 2nd, and finished 6 innings, though he only had thrown 88 pitches. Terry Collins opted to go to Addison Reed for the 7th, who worked a 1-2-3 inning. The Mets tacked on a couple runs in the bottom of the 7th after singles by Michael Cuddyer and Curtis Granderson, and a fielding error to put runners on 2nd and 3rd. Daniel Murphy then doubled down the right field line to make it 4-0. Tyler Clippard pitched the 8th and worked around a leadoff single and two wild pitches, while the Braves worked around a 1-out walk to Ruben Tejada in the bottom of the 8th. In the 9th, Jeurys Familia worked around a 1-out single to complete the 4-0 victory. Good victory, it was one they definitely needed, especially against a good pitcher like Miller. It was also a fantastic outing by Niese, who had his pitches working well tonight. Niese pitched 6 shutout with 3 hits and 2 walks and was lifted after only 88 pitches. The broadcast was a bit confused on this, but it made sense to me. Niese tends to have an inning blow up on him, and the stats across baseball on the 3rd time through the batting order are too strong to ignore. Niese does not throw hard and can’t overpower batters, rather, he pitches to contact. At some point, the Braves were going to figure it out, and it made much more sense to go to Addison Reed for the 7th, Reed who has looked absolutely dominant since his first outing with the Mets. As I said during the game, you can’t honestly think Jon Niese gives you a better shot in the 7th than Addison Reed, because no matter how well he’s pitching, Reed has been better. Another positive was Yoenis Cespedes breaking out of his slump. Cespedes had two doubles and had 3 hits in his first 3 plate appearances. That being said, Travis d’Arnaud continues to slump, and he is now 0 for his last 17. With the win combined with a rainout in DC, the Mets go up 6.5 games on the Nationals and lower their magic number to 7. The Nationals will make up their game against Baltimore on Thursday at 4:05, a mutual off-day for the two teams. The Mets continue the series tomorrow with Logan Verrett facing Matt Wisler at 7:10.